Obelisk, Other effects bundle or multi-effect from Artificial Audio. 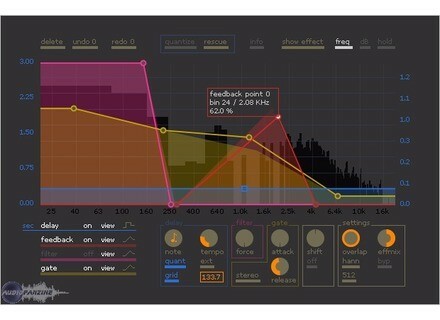 Artificial Audio has announced that its spectral multi-effect, Obelisk, will be available as a VST plug-in for Windows XP and Windows Vista by the end of December. Priced at €99, Obelisk is currently available for Mac OS X in AU and VST plug-in formats. The Windows version will be free for all registered owners of Obelisk for Mac. 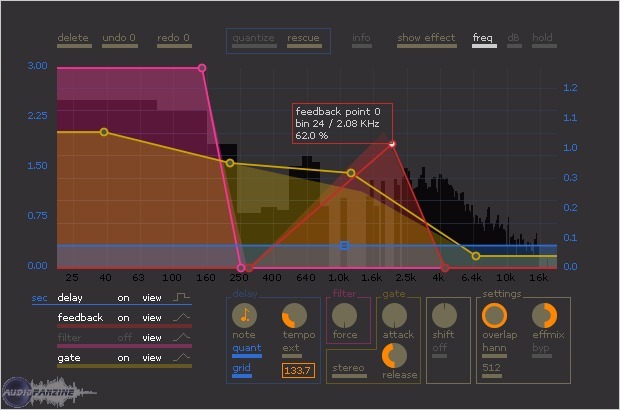 Obelisk is a spectral multi-effect that combines a Spectral Delay, a Spectral Filter and a Spectral Gate together with a Spectrum Analyzer and 2-Dimensional LFOs to modulate the effect settings. Acoustica Pianissimo Acoustica has released Pianissimo, a Virtual Grand Piano, which they say delivers the sound and expressivenes of a classic grand piano in an affordable software package. Emedia EarMaster 5 EMedia Music Releases New Hybrid Version of EarMaster 5. Waves Releases Update 2 for V6 Waves has released Update 2 for V6 of its plug-in range. This update includes enhanced Audio Units support (enhanced Audio Units performance for users of Logic and Digital Performer).